Majority Killed in Venezuela Opposition Protests Not Protesters. Countering the narrative spread by the opposition and the international media, Villegas insisted that the state was not responsible for most of the deaths. The majority of the people killed in violent opposition protests in Venezuela that have sought to oust President Nicolas Maduro over the past two months were not demonstrating, found a Public Ministry’s report presented by the Bolivarian government Monday. 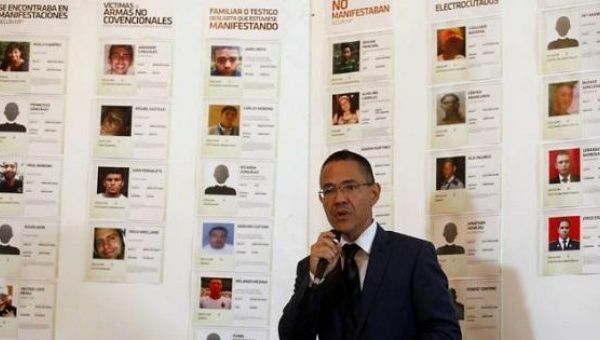 The report — monitoring the 51 days of opposition protests, was presented by Communication Minister Ernesto Villegas, Foreign Minister Delcy Rodriguez and the head of the Human Rights National Council, Larry Devoe at a press conference, citing a death toll nearing 60 victims. It’s a special day for me because I will be able to celebrate Mother’s Day (on Sunday) with my children and my grandchildren,” Vizguerra said. 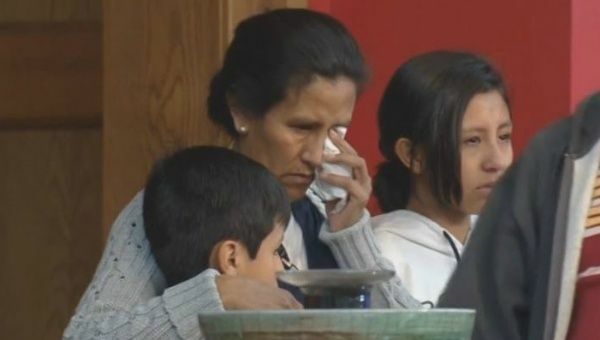 A Mexican mother of four who moved into a Denver church three months ago to dodge deportation left her sanctuary on Friday to chants of “If we fight, we win” after immigration authorities promised she could remain in the United States for two years. 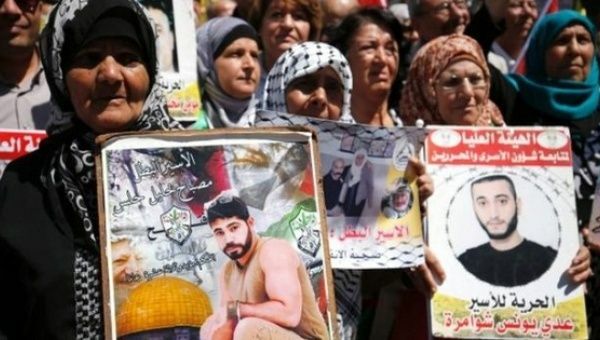 Israel Cracks the Whip on Hunger-Striking Palestinian Prisoners. 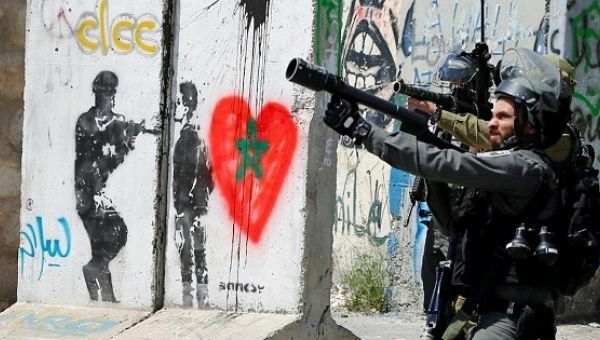 Some Israeli leaders are calling for a more blood-soaked crackdown, calling on the state to execute many of the prisoners. Following the start of the largest-ever mass hunger strike staged by Palestinian prisoners in Israeli jails Monday on the annual Palestinian Prisoner’s Day, Israel has been cracking the whip on the more than 1,000 detainees taking part. Over 1,000 Palestinian Prisoners Launch Mass Hunger Strike. “Salutes of Palestinian Prisoners’ Day. Glory to the martyrs. Freedom for the prisoners of freedom,” stated the PFLP in support of the strikers. On Palestinian Prisoner’s Day Monday, hundreds of Palestinians in Israeli prisons are staging a mass hunger strike, continuing the decades-long resistance of prisoners in the apartheid state.